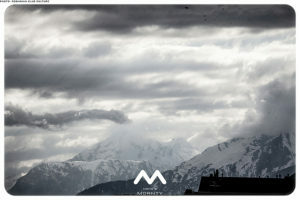 Caprices Festival is a four-day festival that takes place in Crans-Montana, Switzerland, on three different stages positioned on both the top and bottom of the slopes. This is set to be a tremendous electronic line up against the backdrop of a strikingly beautiful Alpine setting that promises to be a unique experience. I remember seeing a video from Luciano a few years ago about this festival. Immediately I was shocked to see the setting in which such awesome Dj’s had come together to perform. Just looking at those day time videos with mountains as the back drop completely caught my attention and i remember thinking to myself that i had never seen anything like it. In addition, the line ups have been consistently good showcasing some of the best house and techno artists in the world. Real quality music in a quality setting. Talk about Experiential settings and this is one on the top of my wish list! Even though this festival has just been wrapped up, I still wanted to spread the word to those of you that may not be familiar with its existence so thats why i’m covering it the day after. Check out some of the videos here and a whole lot more on youtube to check out the vibe from this year. Created especially for Caprices Festival, the Moon stage can accommodate up to 5,000 people. This new venue is located at the foot of the ski slopes on the Barzettes parking.This location was chosen to reduce the journey time between the different venues of the festival and is made to extend the MDRNTY experience until morning in a room that can offer the public an unforgettable visual and sound experience. For the past nine years, MDRNTY has offered electronic music aficionados an unparalleled clubbing experience in unique contexts and in stunning natural settings. The concept showcases the finest contemporary electronic music DJs in a transparent tent, offering clubbers a daytime party experience with fantastic panoramic views over various locations in Switzerland. 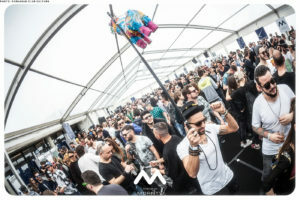 Previous editions of MDRNTY have welcomed some of the most esteemed DJs on the planet, including: Ricardo Villalobos, Sven Väth, Richie Hawtin, Loco Dice, Jamie Jones, Luciano, and many more. With multiple events per year, MDRNTY events always target unique settings (e.g. mountaintops) under unique conditions (e.g. daytime parties) and are reputed for their indescribable, ephemeral experience. The quality and careful selection of the music and the creativity behind the organization and location of the event have earned MDRNTY the title of “Best Event” at the Swiss Nightlifeawards in both 2012 and 2013! At Caprices Festival, Modernity takes place on the terrace at Violettes in an enchanting setting at an altitude of 2,200 meters. It’s a much-anticipated event that has a cult following of unique clubbers. In 2015, Modernity will be back from Friday to Sunday(12:00 – 19:00) and will, as always, welcome the biggest contemporary DJs including the mythical Sven Väth, the regulars Luciano and Ricardo Villalobos, as well as Apollonia, Raresh, Guti (Live), Christian Burkhardt, ZIP, Damian Lazarus, DJ Tennis and Jonny White from the duo Art Department. In December 2016, Caprices announced its partnership with new up-and-coming Crans-Montana venue, Cry d’Er-Club d’Altitude. A restaurant, meeting and clubbing venue combined, and perched at an altitude of 2,220m, it’ll be its first time hosting a Caprices event. Located right on top of the ski runs, the venue fuses tradition with modernity and offers a breath-taking panoramic view. The inauguration evening for the third stage of the festival (Saturday, 8th April, starting at 7pm) will see a succession of world class artists including Ricardo Villalobos performing solo (as well as later playing back-to-back with Seth Troxler on the MDRNTY stage in the afternoon),Sonja Moonear, Franky Greiner and Dorian Paic.